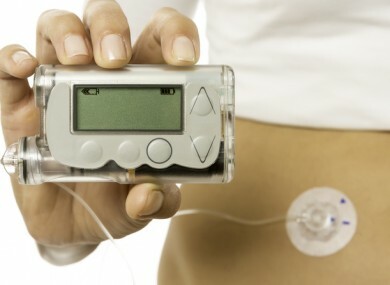 PARENTS OF CHILDREN with diabetes have expressed frustration over the suspension of insulin pump therapy at Our Lady’s Children’s Hospital in Crumlin. Three nurses are required to operate the service, but the hospital said there has been an “unprecedented absence” of two them. Dr Stephen O’Riordan, clinical lead in Paediatric Diabetes at the hospital, said this shortage of nurses is a crisis. “Crumlin has been the mainstay of pump therapy nationally for decades,” he explained. The Mulready family planned their year so that their son Darragh could get his pump on July 22nd and be able to self-manage his diabetes for returning to school in September.His mother Trish says “Darragh was devastated that his pump is sitting in a press gathering dust instead of been fitted to him making his life that bit more normal and helping keep his blood glucose levels a lot more stable”. The organisation said that the suspension is causing “great distress to the 600 families attending OLCH who are living 24 hours a day with Type 1 diabetes”. Dr Anna Clarke said that it could result in an increased workload on higher paid staff, in turn resulting in more costs. The hospital stressed that patients currently awaiting pump therapy are instead being supported on conventional insulin therapy plans. “One [nurse] has been replaced and one is in the process of being replaced,” a spokesperson for the hospital said, but it may take up to six months for the nurses to be become proficient in the therapy. One parent of a child due to receive the treatment said this latest delay adds to the two years they have been waiting for the treatment. She added that they “haven’t heard anything” about the service being suspended while training took place. At present, one-in-20 people has diabetes in Ireland, while one-in-eight of people over 60 has diabetes. There are between 3,000 and 4,000 children, adolescents and young adults living with diabetes in Ireland, Diabetes Ireland explains on its website. Email “Insulin pump therapy for children put on hold for six months at Crumlin hospital”. Feedback on “Insulin pump therapy for children put on hold for six months at Crumlin hospital”.